Below is a letter from the chair of the Congressionally Chartered Research Advisory Committee on Gulf War Veterans' Illnesses (RAC). The take home message is that the highly successful DoD Gulf War Illness Research Program will be shut down unless the Senate takes immediate action to amend the Defense Appropriations Act and include funding for it. 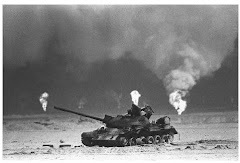 Between one-fourth and one-third of all veterans of the 1991 Gulf War continue to suffer from Gulf War illnesses. The Defense Authorization bill recommended $12 million. The RAC recommended $40 million in funding. But without immediate action, the program will die on the vine. Inexplicably, the members of the Senate Appropriations Committee, chaired by Senator Daniel Inouye (D-Hawaii), left out funding for this critically important, unique program. Please contact your U.S. Senator's office today to implore the Senate to put $40 million in research funding for Gulf War Illness treatments into the Defense Appropriations Act and not let the Congressionally Directed Medical Research Program's Gulf War Illness Research Program die. Too many young men and women served their country in the 1991 Gulf War and remain ill from their service to allow this successful program to end. I was stunned to learn that the Senate Appropriations defense subcommittee report on the 2010 defense appropriations bill includes no dedicated funding for the Gulf War illness research program of the Congressionally Directed Medical Research Program. I implore your help to preserve this essential program to identify treatments to restore the health of 175,000 ill Gulf War veterans and to protect current and future servicemembers at risk of similar exposures. 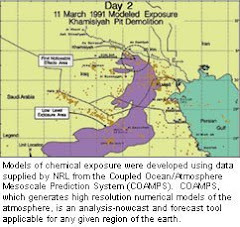 The Congressionally-mandated Research Advisory Committee report released in November unanimously concluded that Gulf War illness is real, was caused by wartime toxic exposures, and affects one in four of those who served. A major Department of Veterans Affairs study published in April confirmed this figure. There are currently no effective treatments. The report identified treatment research as the highest research priority and endorsed the CDMRP program. In its first two years of existence, with a total of $15 million, the program has funded nine treatment studies, now underway, compared to three in the entire previous history of federal GWI research. It focuses on small pilot studies of promising treatments already approved for other diseases and is open to all researchers on a competitive basis. The defense appropriations subcommittee report lumps Gulf War illness with 27 other diseases in a $50 million package for illnesses that generally have no special connection to military service. It is grounded in the erroneous assumption that “this is VA’s problem,” which ignores the facts that DoD has historically provided the majority of GWI research, that VA can only fund VA researchers and thus cannot engage the vast majority of the scientific community, that current and future servicemembers remain at risk. For these reasons, the Senate Armed Services Committee and the full Senate have specifically designated $12 million for GWI research in the 2010 Defense authorization bill. The subcommittee report approach would fundamentally end the program through minimal funding and the loss of dedicated program support. The termination of the only significant federal GWI treatment research program would be devastating to the hopes of Gulf War veterans for better health. I urgently request you to work with your Senate colleagues to restore GWI funding as a separate program within CDMRP at the $12 million level designated in the Senate Defense Authorization bill.